Auric was born in Lodève, a small town in southern France. 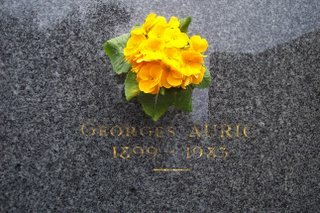 His family soon moved to Montpellier, where Auric began studying music at the Conservatoire. In 1913, a music critic encouraged the precocious pianist and composer's parents to move to Paris, where Auric could continue his studies at the Conservatoire National Superieur. The family arrived in May 1913, just in time for Auric to attend the premiere of Stravinsky's Le Sacre du printemps [The Rite of Spring]. That fall, he enrolled in Georges Caussade's class at the Conservatoire and he soon received his Parisian premieres as both performer and composer. In October 1914, he performed a recital for the Société Musicale Indépendante. In attendance were the conductor Inghelbrecht; the composers Albert Roussel, Charles Koechlin, and Louis Aubert; Maurice Ravel was Auric's page-turner. The following March, in a concert sponsored by the Société Nationale de Musique, Alfredo Casella (on piano) and Mme Paule de Lestang (the star of the day at the Lyon Opéra) performed two sets of Auric's songs. Two articles on Erik Satie, written by Auric in the fall of 1913, were published in the Revue Musicale de Lyon and in the Nouvelle Revue Française. 1914 also saw Auric join Vincent d'Indy's composition class at the Schola Cantorum. World War I caught Auric by surprise and did much to shape the anti-German/pro-French sentiments that would define his music in the early 1920s. Following his 18th birthday, in 1917, he was called up by the army. He was initially stationed in Le Mans, but influential friends assured his safety by securing a transfer to a desk job at the War Ministry in Paris. By 1919, Auric was at the center of the Parisian avant-garde. His circle of friends and acquaintances included such luminaries as the painters Picasso, Braque, and Laurencin; the writers Cocteau, Apollinaire, Radiguet, and Max Jacob; the philosophers Jacques Maritain and Léon Bloy; the composers Stravinsky, Milhaud, Honegger, and Poulenc; as well as prominent patrons of the arts, such as Serge Diaghilev, the Beaumonts, the Princesse de Polignac, and Misia Sert. Auric's place in history was already assured, as the dedicatee of Cocteau's infamous musical manifesto, Le Coq et l'Arlequin. In 1920, with the encouragement of Cocteau, music critic Henri Collet wrote two articles in which he coined the name "le Groupe des Six." This tag—referring to Auric, Louis Durey, Honegger, Milhaud, Poulenc, and Germaine Tailleferre—was a public relations hit, and remains recognizable to many concert-goers today. The group, however, was really more of a collection of friends. After one collaboration, the 1921 ballet Les Mariés de la Tour Eiffel [The Wedding Party at the Eiffel Tower], Durey left the group over artistic differences. 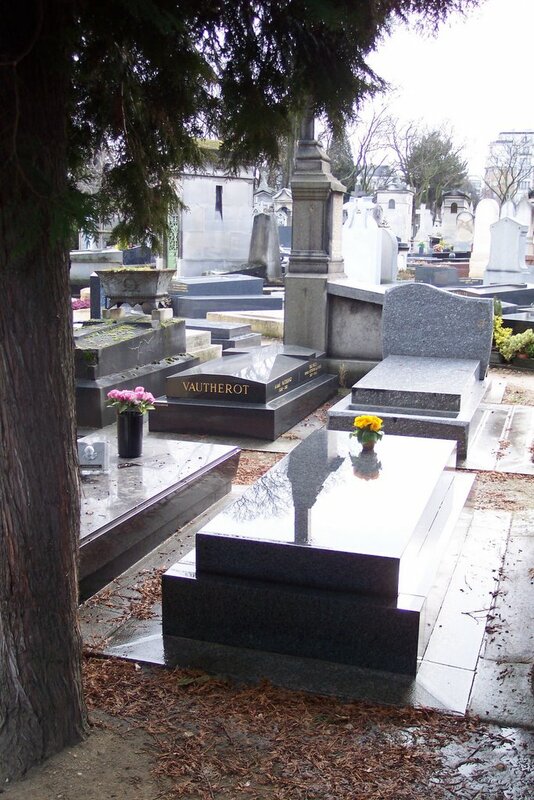 The intransigence of Auric and Poulenc toward Ravel's music soon drove Tailleferre out, too. By 1924, Milhaud and Honegger were also pursuing other artistic directions. Auric's career was hardly finished by the dissolution of les Six, however. In 1921, Serge Diaghilev commissioned a ballet from Auric for his famed troupe, the Ballets Russes. The work, Les Fâcheux, was finally premiered in January 1924 and was such a success that Diaghilev commissioned a second. Les Matelots premiered in June 1925 and, again, was such a success that a third was immediately commissioned. Even though La Pastorale's May 1926 premiere was an overwhelming success, there would be no further collaborations—Auric's growing fame encouraged him to demand increasingly higher fees. Diaghilev, who preferred young (and less expensive) talents, passed on further collaborations. I should note, however, that no other composer received three commissions from Diaghilev in consecutive seasons; and Stravinsky was the only composer to receive more commissions than Auric (6 over nearly 20 years). After a brief turn to opera produced three mediocre comic operas, Auric sought a new medium. Thinking first of absolute music, he wrote a piano sonata, the Sonate en fa, 1930–1931 (a new recording is being done this summer by Julian Jacobson, I am anticipating the best!!). At about the same time, he and Cocteau collaborated on a film, Le Sang d'un poète [The Blood of a Poet] (completed in 1930, but not released until 1932). Another film collaboration, René Clair's A Nous, la liberté! (1931), set Auric on his new career path. From 1934 to 1940, Auric was involved in about twenty film projects. Many of these scores show his turn toward a populist musical style, while the films reflect his increasingly public leftist political sentiments. Auric spent much of World War II in southern France, the region that was always his spiritual home and his escape from Parisian life. During the war, he was involved in a musicians' resistance group, the Front National de Musique, and composed music for several films that contained subversive, pro-French messages. The most famous of these is undoubtedly Jean Cocteau and Jean Delannoy's L'Eternel Retour [released under two different English titles: Love Eternal and The Eternal Return]. The film is a modern version of the Tristan and Isolde legend, recapturing the medieval French myth from German hands (the most familiar version of the legend remains Richard Wagner's Tristan und Isolde). Auric's music during WWII turned increasingly toward an aesthetic modelled on Debussy's music. Though Auric had, following World War I, condemned musical impressionism as German music transplanted in France, he now encouraged French composers to adopt this "essentially French" aesthetic. Following the war, Auric's film career rolled forward. With Delannoy's 1946 La Symphonie pastorale, he received the Music Prize at the 1st Cannes Film Festival; the same year, he composed the score for Cocteau's La Belle et la Bête [Beauty and the Beast]. A 12-film contract with Britain's Ealing Studios led to such classics as The Lavender Hill Mob, Hue and Cry, and Passport to Pimlico. Many of these film scores were recorded a few years ago by Philip Lane and Chandos Records. He composed for Hollywood, as well, creating the "continental sound" desired by John Huston in Moulin Rouge and by William Wyler in Roman Holiday. His music, a dominant force in 1950s French cinema, would eventually be recognized through the Music Prize at the 1950 Venice Film Festival (for Cocteau's Orphée) and an Emmy nomination (for the 1963 NBC documentary The Kremlin). All told, he collaborated on about 136 films and 7 television projects. You can find a relatively accurate list at the Internet Movie Database. Outside of films, Auric's career continued its upward path to the end. He composed several successful ballets in the 1950s and his masterpieces are the two-piano Partita (1953-55) and Doubles-jeux (1970-71), along with the adventurous series of pieces titled Imaginaires (six pieces from 1968 to 1976). He was elected president of SACEM (the organization that manages copyright and royalties for musicians in France) in 1954, and was reelected numerous times before being named Président d'honneur in 1979. Elected to the Académie des Beaux-Arts in 1962, he served as that institution's president in 1967. From 1962 to 1968, he was Adminstrator of the Réunion des Théàtres Lyriques Nationals (meaning that he was in charge of both the Paris Opéra and the Opéra-Comique); under his tenure, the two theatres finally rebounded from the artistic drought they'd been suffering since the 1920s. He was named a Grand Officier in the Légion d'Honneur and in 1979 was also named to the American Academy of Arts and Letters. In 1979, he published Quand j'étais là, the first volume of a projected two- or three-volume memoirs (this was the only volume published). Auric died on July 23rd, 1983 and was interred with his wife Eleanore Vilter (a painter better known as Nora Auric; she died in 1982) in the Cimitière Montparnasse in Paris.